We are a group of Swan 46 (1983-1997) owners and we want to share the knowledge of these magnificent and very strongly built boats with other people. “Swan46.org” is a non profit, stand-alone organization. 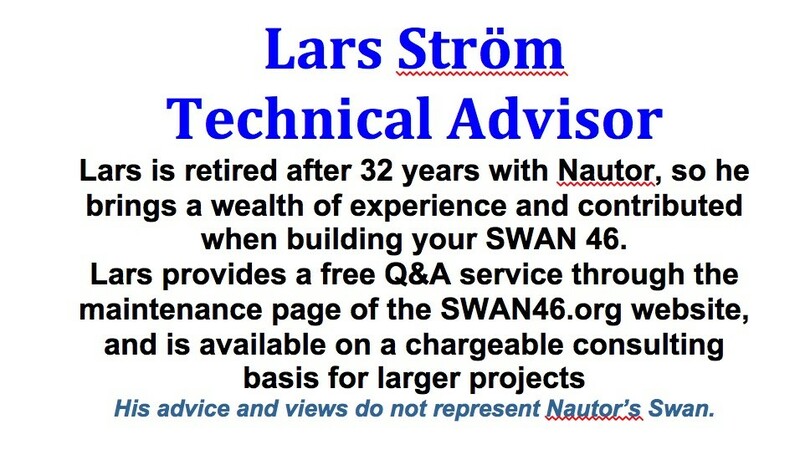 To be become an Association Member you have to be a Swan 46 (1983-1997) Swan owner. If you are, please join us. We are going to put on our web site all the material we are able to get from other Swan owners or lovers (Articles, Stories, Experiences, Photographs, Plans etc. ), so, if you have something which you did not find on our pages, please, do not hesitate and send it to us, we need it!